Synopsis: The purpose of this paper is to explore the ways family members are currently dis/located within the mental health system and whether or not, as a daughter, I can claim space and solidarity for my own experiences of the dehumanizing practices my mother experienced as the person with the diagnosis of “mental illness”. Since the knowledge I review is that which I have, not as a researcher or scholar but rather as a family member, the paper is written in the first person as an open letter to “all well-meaning mental health therapists”. In the letter, I catalogue the trauma and the assaults committed against my being by a “well-meaning system” alongside those committed against my mother, not as the “same” or “different” but rather as “shared” encounters. I register questions about whether or not I can politically claim any status as a “consumer/survivor” in my own right? Ultimately, I want to know whether or not I can find solidarity for my own angsts, not as the daughter constructed by some as burdened or by others as colluding, but rather as a person who also experienced harm and dehumanization under psychiatry and psychiatric discourses as macro-social structures. By writing the letter, I hope to uncover the answers. Bio: Maria Liegghio Ph.D. is an Assistant Professor in the School of Social Work at York University, Toronto, Ontario, Canada. Her main areas of research are social work epistemology in child and youth mental health; the stigma of mental illness in child and youth mental health; critical social work education, theory, and practice; and collaborative, community-based and participatory action research. She has extensive experience working as a child and family mental health therapist. Her current work is focused on the experiences psychiatrized children and youth and their caregivers have of policing and police encounters. Synopsis: Research makes it clear that the client is the heart and the relationship between the provider and client is the soul of therapeutic change. But the medical model remains dominant despite its deeply flawed assumptions. This Plenary presents an alternative: a relational model based in client feedback. Routinely requesting, documenting, and responding to client feedback transforms power relations in the immediate therapy encounter by privileging client beliefs and goals. Outside the therapy dyad, client-generated data help overcome inequities built into everyday service delivery by redefining whose voice counts. This presentation also suggests that systematic client feedback via the Partners for Change Outcome Management System offers a viable alternative to psychiatric diagnosis. 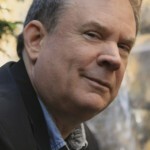 Bio: Barry Duncan Psy.D. is a therapist, trainer, and researcher with over 17,000 hours of clinical experience, is Director of the Heart and Soul of Change Project (heartandsoulofchange.com), CEO of Better Outcomes Now (betteroutcomesnow.com), and the developer of the Partners for Change Outcome Management System (PCOMS; pcoms.com), a SAMHSA designated evidence based practice. Dr. Duncan has over one hundred publications, including 17 books addressing client feedback, consumer rights, and the power of relationship. His latest book, On Becoming a Better Therapist: Evidence Based Practice One Client at a Time (2nd ed., APA, 2014) describes PCOMS as a way to improve client outcomes, finally give clients the voice they deserve, and change the medical model discourse to a more relational perspective. Because of his self-help books (the latest is What’s Right With You), he has appeared on "Oprah," and other national TV programs. Barry travels nationally and internationally implementing PCOMS in small and large systems of behavioral health care. Synopsis: Over the past few years, new insights into trauma’s impact on body, brain and relationship have spawned a range of new approaches to treatment. Many of these modalities can be considered fundamental shifts from earlier therapeutic paradigms. We will examine how neuroscience research has elucidated how, in the course of development, children learn to regulate their arousal systems and to focus on what is most relevant. We then will examine how trauma, abuse and neglect derail these processes and affect brain development. Since traumatic imprints are stored in subcortical brain areas and are largely divorced from verbal recall, a central focus needs to be to the somatic experiencing of trauma-related sensations and affects. These deep imprints are the engines for continuing maladaptive behaviors. Fixation on the trauma and learned helplessness require interventions aimed at restoring active mastery and the capacity to attend to the here-and-now. With the aid of videotaped demonstrations and experiential demonstrations of affect regulation techniques, we will examine the role of body oriented therapies, neurofeedback, yoga, theater, IFS and EMDR in resolving the traumatic past and discuss the integration of these approaches during different stages of treatment. Bio: Bessel van der Kolk, MD is the medical director of The Trauma Center in Boston, MA for 30+ years. He’s a professor of psychiatry at Boston University Medical School and the co-director of the National Center for Child Traumatic Stress Complex Trauma Network. He has published well over 150 peer reviewed scientific articles on various aspects of trauma and is the author of the New York Times bestselling book, The Body Keeps the Score: Mind, Brain and Body in Healing From Trauma. London/New York Viking Penguin, 2014. Synopsis: The current mental health system in Indian Country extends its history of service to an agenda of forced assimilation and cultural destruction through biomedical models that ignore and recapitulate trauma. The current Mentally Ill Indian stereotype created and perpetuated by mental health professionals is a contemporary iteration of past stereotypes of Crazy, Dumb, and Drunk Indian. Thus, the modern mental health movement in Indian Country ‘treats’ what it’s professional ancestors inflicted upon Native families while expanding mechanisms of oppression, indoctrination, and thought reform. Implications for proactive alliance, community collaboration, and a values-oriented liberation psychology will be explored. 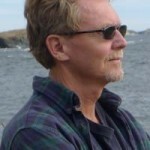 Bio: David Walker Ph.D. is a psychologist, musician, novelist, and freelance journalist. He seeks to expose the Western mental health movement’s complicity in American Indian cultural oppression and is currently preparing a multipart series on this topic for Indian Country Today Media. David has consulted with the Yakama Indian Nation since 2000 and traces his Missouri Cherokee heritage through his grandmothers Elizabeth Jane Albina Alexander and Elizabeth Gibson, who walked the Trail of Tears. His debut Native-themed novel, Tessa’s Dance, won an Independent Publisher Book Award (IPPY) in 2013, while its sequel, Signal Peak, won an IndieFab Book of the Year Award and was finalist in the 2014 Nancy Pearl Literary Awards. He shared a 2006 Special Educational Needs Academic Book Award for his chapter in Critical New Perspectives on ADHD (Routledge) and has contributed to Ethical Human Psychology & Psychiatry, International Journal of Critical Psychology, and Journal of Clinical Psychology. He’s served on faculties at Washington School of Professional Psychology, Heritage University, Oakland University, and Wayne State University Medical School. A past board member of DreamCatchers, a volunteer music performance organization benefiting Native causes in the 1990s, he currently serves on the board of Refugee Women’s Alliance (ReWA) in Seattle. David’s been a member of ISEPP since 2000 and is an advisory editor for Ethical Human Psychology & Psychiatry. Summary: Traumatic grief is often widely misunderstood by clinicians who lack understanding about its psychological, cognitive, social, physiological, and spiritual/existential effects. Using a non-medicalized approach to traumatic grief, this presentation will examine one alternative approach to assessing and providing therapeutic care and support to those experiencing such traumatic losses. Bio: Joanne Cacciatore Ph.D. researches all aspects of traumatic grief and death and mindfulness/meditation practices as an Associate Professor at Arizona State University, director of the Graduate Certificate in Trauma and Bereavement there, and the founder of the MISS Foundation, an international nonprofit organization with 75 chapters around the world aiding parents whose children have died or are dying. In 1996, she also began a global movement of remembrance and compassion called the Kindness Project as a way to help many grieving parents honor their beloved children who have died. She has published 50 studies in peer reviewed journals such as The Lancet, BJOG, Death Studies, Omega, Birth, Social Work, and Families in Society. She is also a medical consultant and trainer who has presented grand rounds and provided individual and agency consulting and training all around the world. She is the recipient of numerous volunteerism focused awards such as the Hon Kachina Award, the Sr Teresa Compassionate Care Award, the Empathic Therapist of the Year Award, Arizona Foothills Arizona Women Who Move the Valley Award, and the Parents of Murdered Children Father Ken Czillinger Award. She is a Zen priest who has authored many book chapters and several books, such as The World of Bereavement and Selah: A guide toward fully inhabited grief, and she is writing another book for Wisdom Publication being released in 2016. Title: Violence, Trauma and Distress: Medical or Political? Summary: Biomedical psychiatry and its focus on individualizing distress as located within the person, and its treatments such as drugs and electroshock, may not only reproduce trauma but it also obscures the root causes of suffering. The targeting of individual biochemistry and genes punishes distressed people whilst leaving oppressive socio-political arrangements intact. Emphasis on trauma-based psycho-social interventions also continues, for the most part, to obscure the sources of distress in the real world. This plenary presentation will explore violence, trauma and distress as located in our daily lives, both inside and outside of psychiatry. It will also explore the ways in which psychiatric explanations via biomedicalsm are linked to neoliberalism and the maintenance of both social inequities as well as state-sanctioned and state-sponsored oppression. How these processes may effect children in particular will also be discussed. Bio: Dr. Brenda LeFrançois is a full professor in the School of Social Work at Memorial University of Newfoundland. 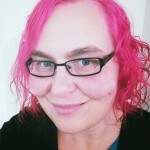 Her areas of specialism include children’s agency and psychiatrization, the lived experience of sanism, and organizing alternatives to professional services. She has published many journal articles on these topics and is co-editor of three volumes, including (along with Canadian scholars and activists Robert Menzies and Geoffrey Reaume) the book Mad Matters: A Critical Reader in Canadian Mad Studies (2013, Canadian Scholars Press Inc). Also, she was one of the founding editors of the journal Radical Psychology. Brenda has been an activist for over 20 years, and is currently working with community members to develop the Hearing Voices Network for Atlantic Canada. Summary: This paper will situate psychology (or 'psy-' approaches more generally) within a very long history of diverse human understandings of how humans interact with one another and their environment. It suggests that the professional psychologies have tended to de-politicize such understandings through the displacement of what had traditionally been called "ethics" in European thought. I pay particular attention to the use of water as a metaphor for understanding humanity -- from Heraclitus, through William James, to Deleuze and Guattari -- and how this resonates with non-European traditions of ethics, such as the Haudenosaunee Guswentha. Whether in making sense of "client" experiences or in working through professionals' lives and dilemmas, I advocate a return to situating human life as an ever-changing ethical journey - and I suggest that doing so enables us to steadfastly hold personal experiences as political ones. 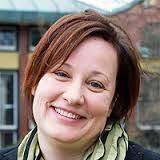 Bio: Chris Chapman is Assistant Professor of Social Work at York University, Canada. He worked in the helping professions for a decade. Chris is co-editor of Disability Incarcerated: Imprisonment and Disability in the US and Canada (2014, Palgrave Macmillan) and co-author of the forthcoming Interlocking Oppression and The Birth of Social Work. His articles and chapters include Becoming Perpetrator: How I Came to Accept Restraining and Confining Disabled Aboriginal Children; Colonialism, Disability and Possible Lives: The Residential Treatment of Children whose Parents Survived Indian Residential Schools; Fostering a Personal-is-political Ethics: Reflexive Conversations in Social Work Education; and Cultivating a Troubled Consciousness: Compulsory Sound-mindedness and Complicity in Oppression. Summary: This plenary session will focus on the shift that is necessary in service delivery to offer what is actually helpful to people in light of the trauma and violence we have experienced. The conversation centers on the importance of an integrated framework that is survivor –defined and considers what it means to be trauma-informed. Services and supports need to be grounded in resiliency, social justice, cultural competence, and strength-based practice while tending to multiple sources of trauma and violence using an anti-oppression stance. Bio: Cathy Cave has 30 years working in human services invested in the movement to shift mental health, substance abuse, first responder, education and other systems’ services to become trauma-informed. In the mid 1990s She coordinated New York State’s Annual Mastering The Key Connections Conferences; presenting state-of-the-art clinical training for trauma treatment and collaborative models for engaging survivors in healing approaches and systems change. She has partnered with domestic violence, sexual assault, mental health and peer run advocacy organizations to incorporate trauma-informed approaches in service delivery, training and supervision. She served 7 years in the executive staff position as the Director for Cultural Competence at the New York State Office of Mental Health, addressing disparities elimination and inclusion of cultural considerations into services and supports. She is recognized for her work in the integration of cultural competence and trauma-informed approaches, has consulted with many national technical assistance centers and brings her experiences with survival, leadership and organizational development to all that she does. Summary: U.S. Senate hearings in 2008 revealed drug company corruption of psychiatry at its highest levels, and more recently, even major figures within the psychiatry establishment have challenged the validity of the DSM and debunked the chemical imbalance theory of mental illness. Despite crushing blows to psychiatry’s scientific credibility, the mainstream media and much of the public continues to take it seriously. While drug company financial backing is one reason for psychiatry’s survival, a larger reason is psychiatry’s role in maintaining societal status quo. Thus liberation from a coercive and oppressive psychiatry is interconnected with liberation from a coercive and oppressive society. 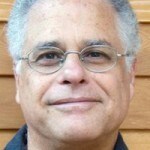 Bio: Bruce E. Levine, Ph.D. writes and speaks widely on how society, culture, politics and psychology intersect. His latest book is Get Up, Stand Up: Uniting Populists, Energizing the Defeated, and Battling the Corporate Elite (2011). Earlier books include Surviving America’s Depression Epidemic (2007) and Commonsense Rebellion (2001). 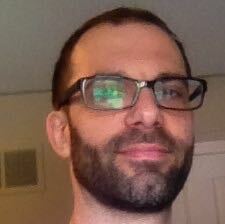 A practicing clinical psychologist often at odds with the mainstream of his profession, he is a regular contributor to Salon, CounterPunch, AlterNet, Truthout, Z Magazine, and the Huffington Post, and his articles and interviews have been published in the New York Times, Adbusters and numerous other magazines. His Web site is brucelevine.net. Summary: This talk will explore the way in which categorising unusual beliefs and realities as delusions can echo the tricks of an abuser - invalidating a child’s reality and locating the ‘badness’ within them. Using my own experiences to illustrate this, I will argue for the importance of acceptance, acknowledging the reality of a person’s experiences and acknowledging the sense in what can mistakenly be interpreted as sense-less. Rather than aiming to change or ‘rationalise’ those beliefs which can be worrying or overwhelming, we will look at how we can promote genuine and empathic curiosity to support someone to explore their own experiences on their own terms. Bio: Rachel (Rai) Waddingham hears voices, sees visions and has struggled with overwhelming realities and beliefs that - in her early twenties - led to her spending most of her time as an inpatient with diagnoses of schizophrenia, schizoaffective disorder and BPD. Following years of feeling like a zombie, Rai found her sense of humanity within the community of a Hearing Voices Group. Alongside other voice-hearers, Rai began to make sense of her experiences and find creative ways of utilising them as breadcrumbs in her healing journey. No longer identifying with psychiatric labels, she now feels privileged to be working for human ways of supporting people in distress, both inside and out of the system. Rai is a trustee of the English Hearing Voices Network and an executive committee member of the International Society for Psychological and Social Approaches to Psychosis (ISPS). She is a proud member of Intervoice (the International Hearing Voices Network) and has launched initiatives supporting children who hear voices, adults struggling with unusual beliefs and people in prison who hear voices. She is an international trainer, a Mad in America blogger and - essentially - a human being who feels lucky that she is alive and able to contribute to a thriving movement for change.